Happy holidays everyone! Bricks Stack Exchange is once again participating in the Winter Bash celebration with the rest of the Stack Exchange network! While this is a "just for fun" activity, there are also a few different prizes available this year. The user with the most hats will win #10263 Winter Village Fire Station. Any ties will be resolved randomly. You can track your hat progress on the Bricks SE leaderboard. Bricks mods are excluded from this portion of the competition for fairness reasons. 3 winners will be selected randomly from everyone who earns at least 3 hats. They will each win #10259 Winter Village Station. A winner will be selected from the 2018 Winter Bash building competition. The winner will be selected by community vote. Ties will be resolved randomly. 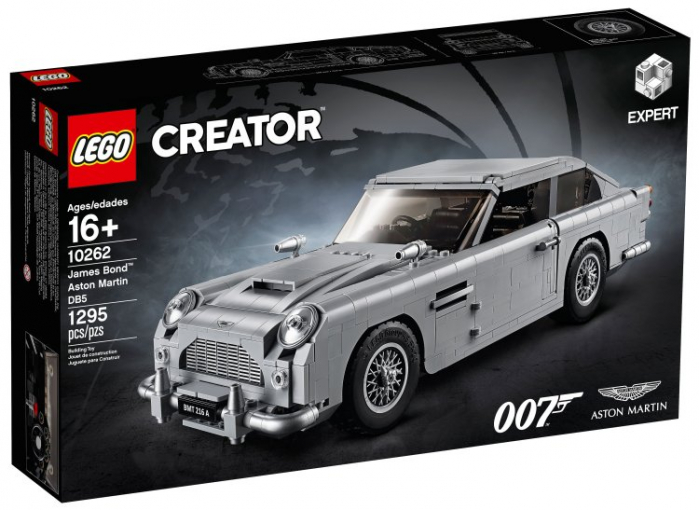 The winner will receive #10262 James Bond Aston Martin DB5. All winners will need to provide me with a shipping address within 1 week of the end of the competition, or their prize will be forfeited. I'm willing to be flexible if winners would prefer a different set of equal value if they already have the prize. The contest is not open to residents of Iran, North Korea, Myanmar/Burma, Zimbabwe, Sudan, Syria, and any other U.S. sanctioned country and where prohibited or restricted by law. This is a legal requirement that is outside of both our control and The LEGO Group's control. 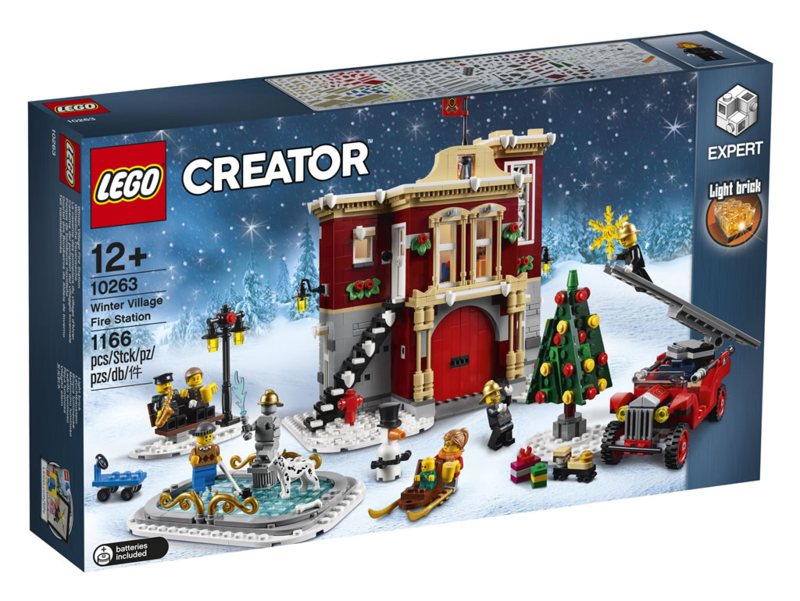 The goal here is to facilitate positive engagement on the site both to celebrate the holidays and because this is the time of year when we get a lot of new traffic from parents and others just getting into LEGO. My hope is that providing prizes for this will facilitate meaningful engagement on the site. Please don't make useless edits to posts or participate in similar shenanigans just to earn hats. :) Your actions should still provide value to the community. Go earn some hats, and have fun building! Any restriction for any country due to shipment issues etc. New contributors will be considered? only hat activity counts or other things will change the probability in the case of a tie? Winter Bash 2018 has come to a close! We had 376 users earn 552 hats this year. Alexander O'Mara earned the most hats, and also won our building competition, so he will be receiving the Aston Martin and Fire Station. 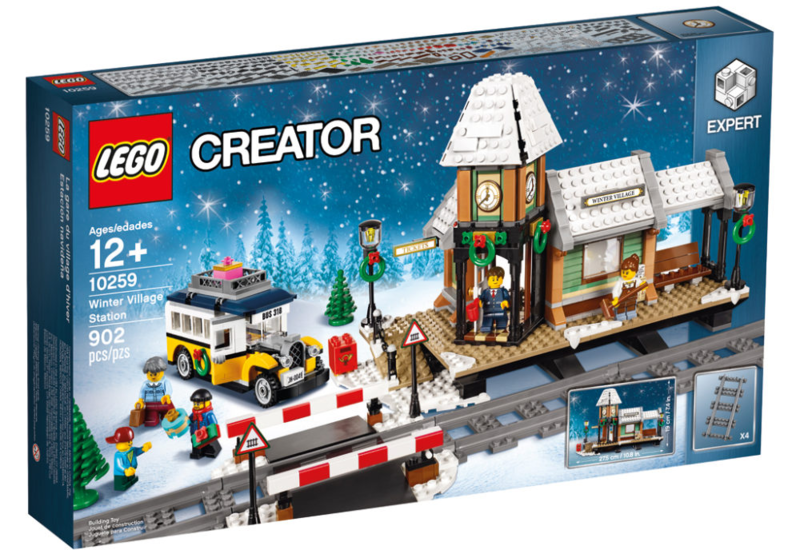 They will each receive the Winter Village Station. All winners have one week to reach out to me via email (my username at Gmail) with shipping details. Congrats to the winners, and thanks to everyone for participating! Happy New Year!